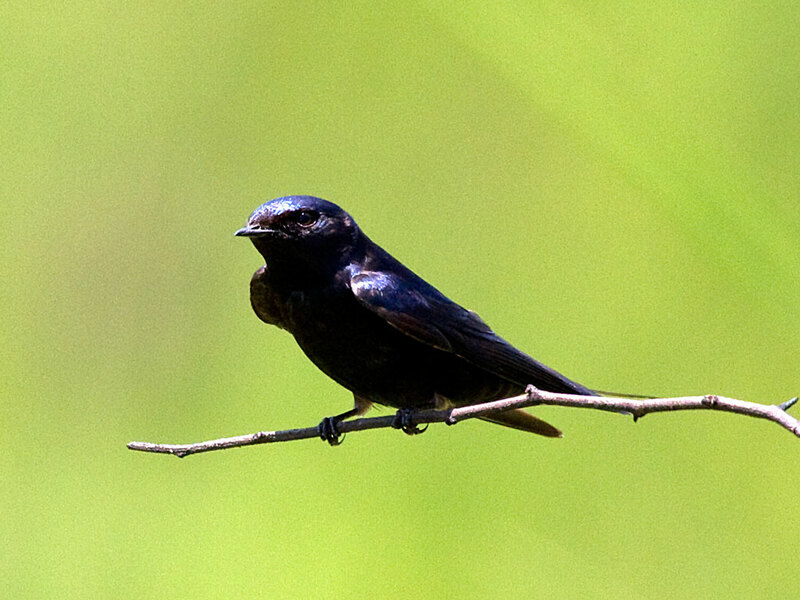 Medium sized, completely blue black, males have long tail streamers (diagnostic). Feeds over grasslands and forest edges. Intra-African migrant. Endangered through loss of montane grassland habitat by invasion of wattle and pine. Occurs in low numbers in Vumba and populations are declining. Can be seen flying over river valley north west of Seldomseen, occasionally on grasslands on main road near Bunga Forest.